Also, Harrison Township Police Department will have increased DUI enforcement patrols through the new year. The Clearview Regional High School Debate Team won their first regional tournament against Haddonfield Memorial High School at the South Jersey Debate League varsity tournament on Wednesday, Dec. 13. Pictured from left in the back row is advisor Michel Richard, Michael Lee Walker, Luis Becerra-Solis and Kepler Palacio. From left in the front are Anna Kilpatrick, Brianna Groch and Evelyn Milavsky. 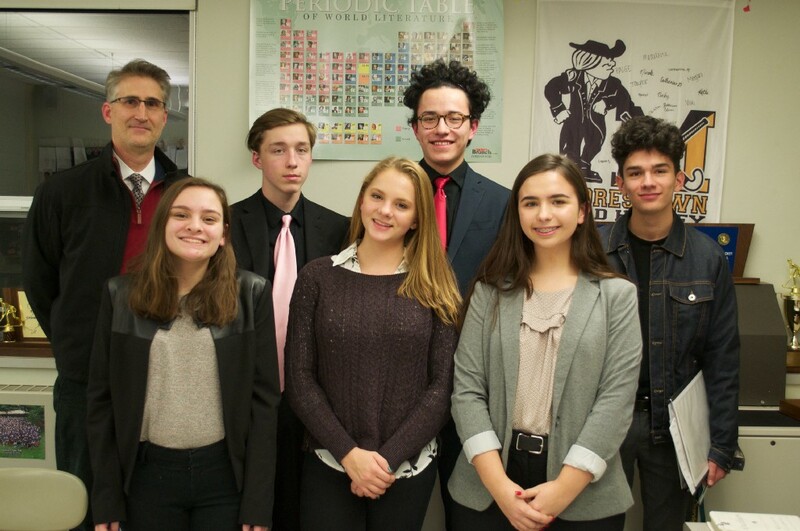 While attending the first regional tournament in club history, the Clearview Regional High School Debate Team took the lead against Haddonfield opponents at the South Jersey Debate League regional competition on Wednesday, Dec. 13. Also, the Harrison Township Police Department will have increased DUI enforcement patrols through Jan. 1, 2018, as part of the statewide “Drive Sober or Get Pulled Over” campaign. Check out some of the top stories from the past week in the Weekly Roundup. On Wednesday, Dec.13, the Clearview Regional High School Debate Team finished ahead in the first round of the South Jersey Debate League regional tournament, with both affirmative and negative teams winning against Haddonfield Memorial High School opponents. The tournament was the first in club history. While the holiday season is often a time of festivities and celebration, it also sees a 10 percent increase in impaired driving incidents, according to the Gloucester County Prosecutor’s Office. This year, Harrison Township will have increased DUI enforcement patrols to prevent drug and alcohol-impaired driving through New Year’s Day.